What’s it like growing up with curly hair, in a sea of ghds? 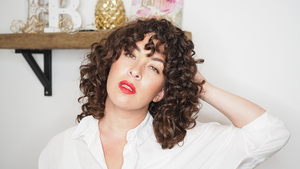 In the latest episode of How to be Sound, I chat to ‘Curly Cailin’ Gabriella Strano (top) about her curly journey, the ‘Curly Girl’ method, puff cuffs, buffs, pineapples and wet plopping. Alternatively a steam iron at high heat. 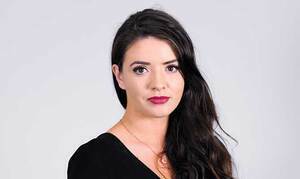 Posted in Misc and tagged How To Be Sound, Rosemary McCabe at 10:37 am on March 6, 2019 by Bodger. 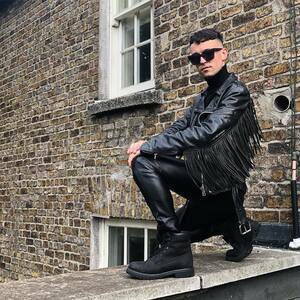 Rosemary McCabe meets much-loved social media fashion plate James ‘Exchequer Street Boy’ Kavanagh. Posted in Misc and tagged How To Be Sound, Rosemary McCabe at 10:37 am on January 23, 2019 by Bodger. The latest ‘How To Be Sound’ podcast. 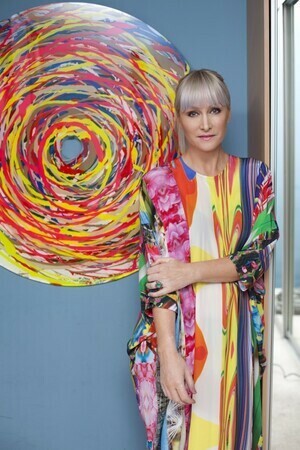 Host Rosemary McCabe meets fashion designer Helen Steele (top). 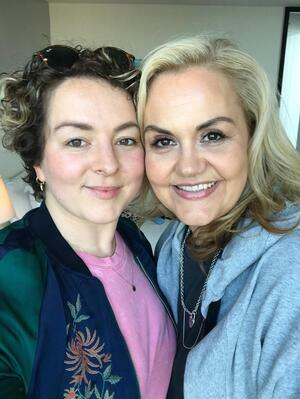 From €650 silk dresses to €15 leggings, designer Helen sat down to talk about her new high-street collaboration with Dunnes Stores, the ethics of impulse buys, how she loves Bono and why she encouraged her daughter Halle to pursue plus-sized modelling…. Posted in Misc and tagged How To Be Sound, Rosemary McCabe at 11:23 am on January 8, 2019 by Bodger. 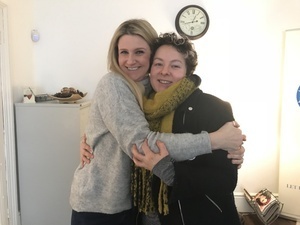 Host Rosemary McCabe (left) meets playwright Anna Sheils-McNamee, whose play ‘My Dad’s Blind‘ runs in the Dublin Fringe Festival from September 18-22. Posted in Misc and tagged How To Be Sound at 1:38 pm on September 7, 2018 by Bodger. How To Be Sound podcast. Rosemary McCabe meets comedian Joanne McNally. I chat to comedian Joanne McNally about whether or not comedy should exist in a safe space, if cultural appropriation is something we really have to worry about and why her parents dressed her brother up as an SS officer…. Posted in Misc and tagged How To Be Sound, Joanne McNally, Rosemary McCabe at 3:49 pm on July 13, 2018 by Bodger. Subscribe on iTunes, Stitcher or wherever you listen to podcasts. Posted in Misc and tagged How To Be Sound at 2:32 pm on May 29, 2018 by Bodger. Subscribe on iTunes, Stitcher or where ever you listen to podcasts. 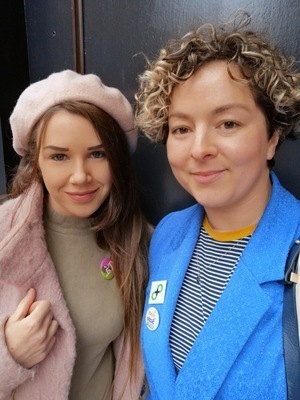 Posted in Misc and tagged How To Be Sound, Rosemary McCabe, Saoirse Long at 10:45 am on May 22, 2018 by Bodger. Posted in Misc and tagged How To Be Sound, Rosemary McCabe at 11:56 am on April 26, 2018 by Bodger. A weekly podcast on how to be sound with Rosemary McCabe. 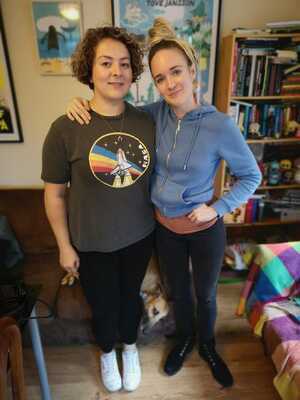 This week on How to be Sound – Rosemary (above right) discovers that all you need is love (and a good broadband connection) as she talks to Rena Maycock (left) of Intro Matchmaking and scrolls through yoga instructor Tess Purcell’s Tinder! Posted in Misc and tagged How To Be Sound, Rosemary McCabe at 4:58 pm on February 14, 2018 by Bodger.